For many years, the objective of environmental campaigners was to push climate change on to the agenda of political leaders and to encourage media attention to the issue. By the first decade of the twenty-first century, it appeared that their efforts had been spectacularly successful. Yet just at the moment when the campaigners’ goals were being achieved, it seemed that the idea of getting the issue into mainstream discussion had been mistaken all along; that the consensus-building approach produced little or no meaningful action. 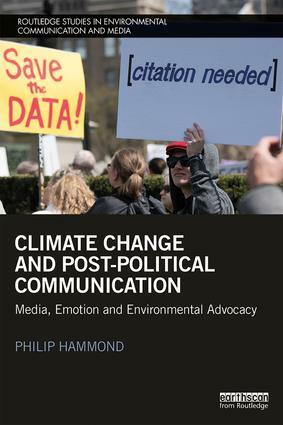 That is the problem of climate change as a ‘post-political’ issue, which is the subject of this book.